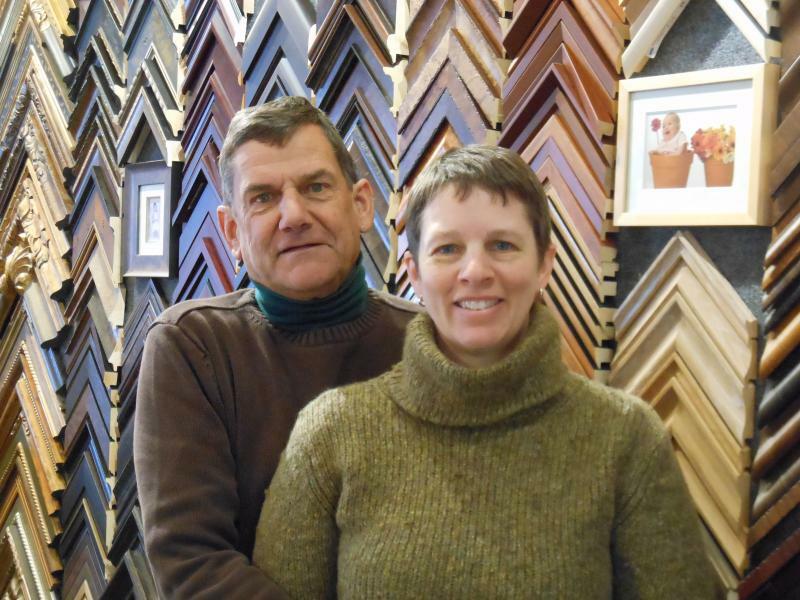 David Osann and Heather Barker opened Framing Arts in 1999 and brought to Hendersonville a new level of custom framing. Both David and Heather are Certified Picture Framers (CPF), a designation earned from the Professional Picture Framers Association (PPFA). "We strive to provide our clients with the most personal service possible while giving their artwork the beautiful framing it deserves." Our customers know how unique we are. They come back again and again, bringing their friends. Then their friends bring more friends. We believe our distinctive quality & elegance in framing and unequaled standard of personal service brings people back again and again. We feature top moulding companies, including fine Italian frames from Roma Moulding, hand-carved and hand-finished custom frames from ﻿AMCI-Regence Master ﻿Frames, and Larson-Juhl. And now we offer the unique frames from House of Mercier, fine leather frames from Peru. We also carry high-quality matboard from Nielsen-Bainbridge, Crescent, and Artique. These preservation quality matboards are either made from alpha-cellulose (where the acid producing lignin has been completely removed) or 100% cotton pulp (which never had acids in the first place). Remember, all light will fade artwork over time, and sunlight is the worst offender. On all artwork that needs glass, be sure it has UV filtering - and always keep it out of direct sunlight!